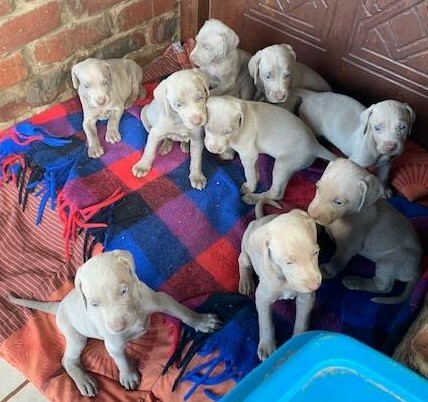 9 Weimaraner puppies for sale, will be ready to go to their forever home on 1 Feb 2019. Will be vet checked, inoculated and dewormed. Males R3000, Females R3500. Call or whatsapp *removed*.